After teasing it for several weeks, daily vlogger Casey Neistat has gone the way of many YouTubers before him to launch Couples Therapy — an audio series co-hosted by his wife, the South Africa-born jewelry designer Candice Pool Neistat. On the podcast, which bowed today, the couple will discuss the ups and downs of their marriage, as well as friendship, parenting, and what life is like in the YouTube spotlight, according to a description in the iTunes store. The podcast is also available on Anchor and Spotify. “Candice is like a superstar,” Neistat said in an announcement video today on his YouTube channel (see below), “and that was the point of doing this podcast in the first place — to give her an opportunity to speak that’s not me editing her in my videos.” The couple have been married for roughly five years and have a daughter, Francine. There are no ads in the debut episode, Neistat notes, as he’s still weighing monetization options. That said, the couple plans to launch a standalone Couples Therapy YouTube channel so that fans can watch video recordings of the series. 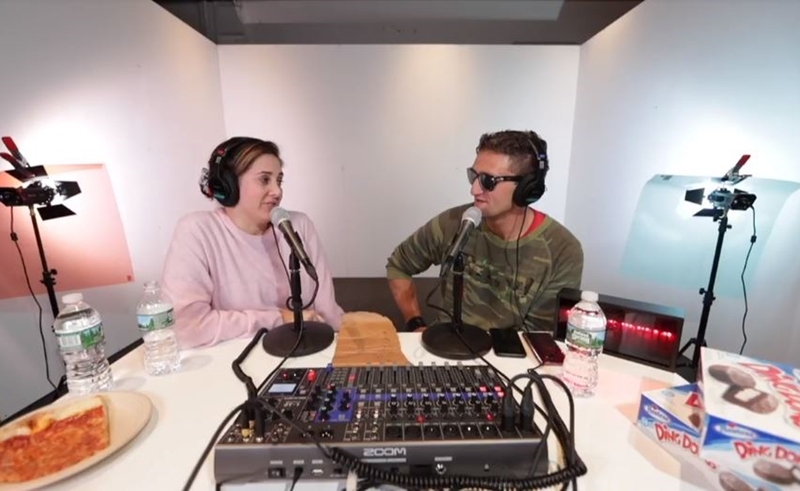 Neistat, who recently unveiled a collaborative space for digital creators based in New York called 368, said that two podcast studios are planned for that venture. The cover art for Couples Theray was created by Amsterdam-based illustrator Sandy Van Helden, and the theme music was submitted by one of Neistat’s fans. Other YouTubers to have launched podcasts in recent months include Megan Batoon, Niki And Sammy, and Hannah Hart.